KANSAS CITY, Mo. — Many drivers have been pulled over by law enforcement at some point, but some younger and more inexperienced drivers don't know how the interaction is supposed to go. 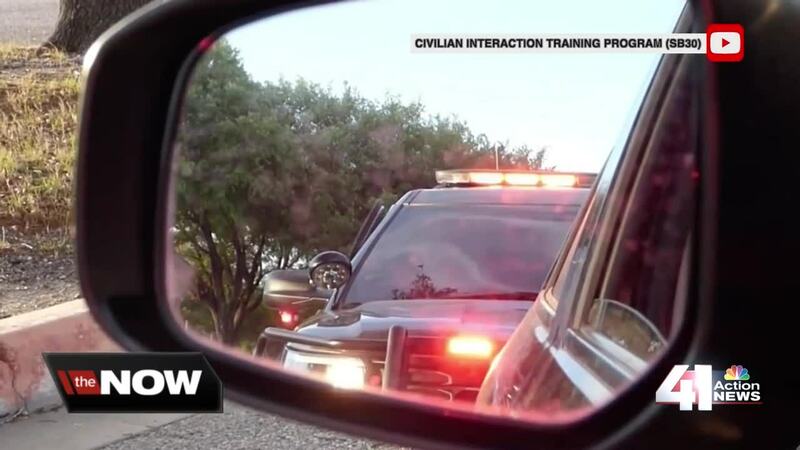 Texas officials are now requiring all new drivers to learn how to act during a traffic stop. A new state law requires students in grades nine through 12 to take a class, paired with a 16-minute video , that aims to teach them how to deal with law enforcement during a traffic stop. Known as the Community Safety Education Act , Senate Bill 30 was signed into law by the Texas Legislature to help ease tensions between police and students. A Kansas City metro driving school instructor thinks it's a good idea. "I think that's a pretty good idea and just for everyone's safety, there's a handful of dos and don'ts that everybody needs to know," said Joe Harder, owner of Harder Performance Driving School in Overland Park. Over the years, Harder said he's seen things change when it comes to driving. He thinks teaching young drivers how to interact with police in Kansas and Missouri will help. "My brother happens to be a Shawnee police officer, and he kind of coaches me on what he needs the students to do," Harder said. According to the Missouri State Highway Patrol, when teenagers are pulled over, it's usually for distracted driving. Many don't know what to do next. "Always yield to the right, make sure that your hands are where we can see them and be prepared to provide your license and insurance," said Sgt. Collin Stosberg with the Missouri Highway Patrol. In Missouri, legislation similar to that in Texas was brought up last year but failed.